Liberty’s LSG-Series Omnivore® grinders meet the demanding needs of commercial and residential sewage applications where difficult solids-handling ability is crucial. The LSG features patented V-Slice®cutter technology. This industry-leading design, made of 440 hardened stainless steel, shears rags, jeans, wipes, diapers, sanitary napkins and other debris into a fine slurry. Applications include individual or groups of homes, motels, schools, shopping centers, lakefront developments and systems requiring pressure pumping of waste. Other features include a one-piece cast iron volute and motor housing, quick-disconnect power cord for field serviceability and a 3 year limited warranty from last bill-of-sale. 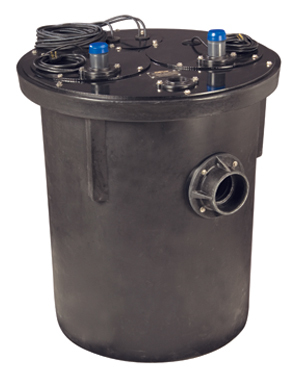 For multi-unit residential and commercial installations, the 700-series simplex sewage package arrives fully assembled with any of Liberty's LE-Series sewage pumps. Available with many options including 2" or 3" discharge and pre-mounted alarm floats. 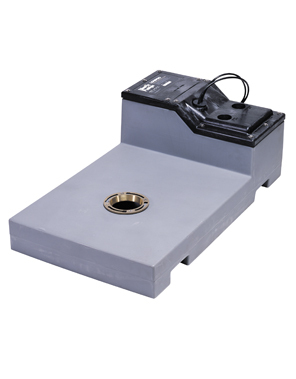 Liberty's LowPro41LP offers an easier solution for adding a basement bathroom. 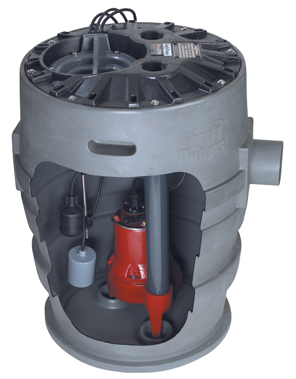 Unlike traditional sewage pump basins, the LowPro is designed to sit directly on the floor eliminating the costly task of breaking-up concrete. Its low profile tank can be framed around with standard 2" X 6" floor joists, totally concealing the unit for a complete finished appearance. 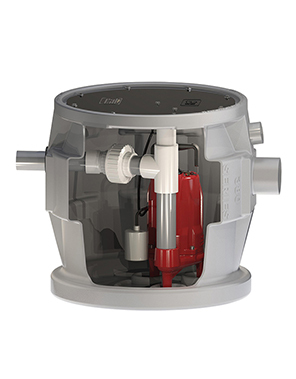 This new unit from Liberty can also save hours of installation time because it arrives fully assembled from the factory with a 2" solids-handling sewage pump. Additional features include a powerful internal spray that helps break down solids and a split cover for easy access to the tank and switch without disturbing the discharge or vent pipe. The Pro380-Series is a large capacity shallow system design featuring a 24" x 24" basin - perfect for bedrock and difficult soil conditions. The Pro380-Series offers a large 41 gallon capacity and longer pump cycles for extended pump life. The Pro380-Series sewage package arrives from the factory pre-assembled saving valuable labor time at the job site. Now available "alarm-ready" with pre-mounted alarm floats. Give the Pro380 a try and see why more contractors are demanding Liberty. The Pro-Series is backed by Liberty's standard three-year warranty. For multi-unit residential and commercial installations requiring the security of two pumps, Liberty's 1100-series provides the assurance of uninterrupted operation. Factory pre-assembled with any of Liberty's LE-Series sewage pumps...you select the pump and control panel-we build the system for you! Heavy-duty built and reliable, Liberty's LE40-series is the perfect choice for residential sewage applications. 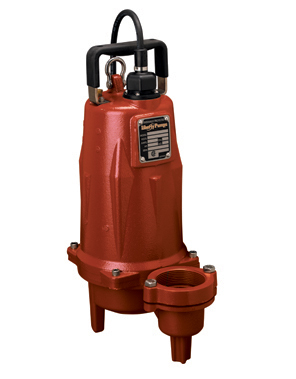 Featuring all cast iron construction with an epoxy powder coat finish, stainless steel fasteners, quick-disconnect power cord and a vortex style impeller for superior solids handling, the LE40-series combines solid performance with exceptional value. Vertical float option available on 115V model. 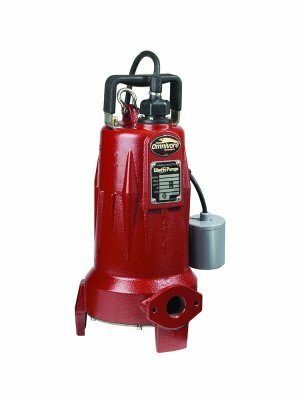 Liberty's LE50-series cast iron sewage pump is a commercial-grade workhorse for residential and light commercial applications. Its efficient 1/2 hp motor with permanently lubricated bearings, stainless steel fasteners and quick-disconnect power cord design make this a favorite choice among professionals. Other features include 2" solids-handling ability and a shut-off head of 25 feet. Optional vertical float switch model available in 115V. 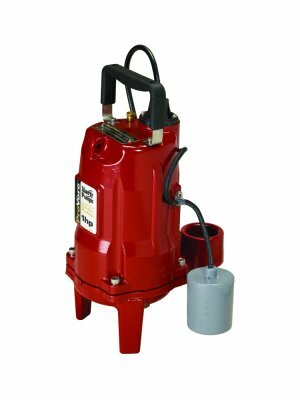 Liberty's XLE50-series cast iron sewage pump is an explosion-proof pump for use in hazardous locations. It is Class 1, Division 1 Groups C & D and Class 1, Zone 1 and Group IIA and IIB certified. 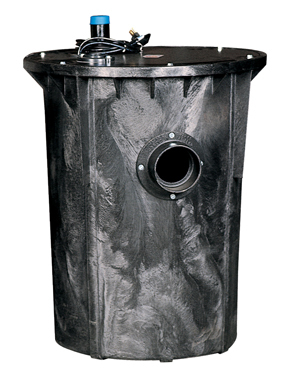 Providing a dual 2" or 3" discharge, 2" solids-handling, and 2 vane semi-open cast iron impeller. A bronze impeller is optional for this model. 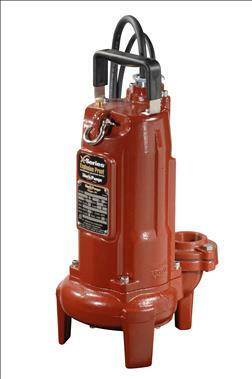 Liberty's LE70-series is a 3/4 hp sewage pump with 2" solids-handling capability. Constructed of heavy cast iron with a tough epoxy powder coat finish, stainless steel fasteners and rotor shaft, the LE70 is designed for durability. Its quick-disconnect cord design allows for easy interchange of power cords in 10', 25' and 35' lengths. Available in 2" or 3" discharge configurations and a wide range of voltages. 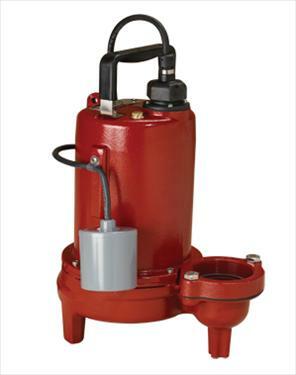 Liberty's XLE70-series cast iron sewage pump is an explosion-proof pump for use in hazardous locations. It is Class 1, Division 1 Groups C & D and Class 1, Zone 1 and Group IIA and IIB certified. Providing a dual 2" or 3" discharge, 2" solids-handling, and 2 vane semi-open cast iron impeller. A bronze impeller is optional for this model. 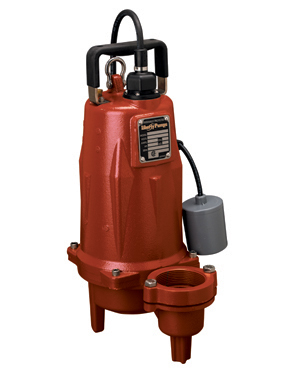 Liberty's LE100-series is a 1 hp sewage pump with 2" solids-handling capability. Constructed of heavy cast iron with a tough epoxy powder coat finish and stainless steel fasteners, the LE100 is designed for years of trouble-free performance. Its quick-disconnect power cord allows for easy interchange and is available in 10', 25' and 35' lengths. The LE100 can be ordered in 2" or 3" discharge configurations and a wide range of voltages. 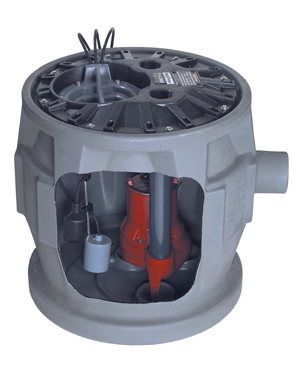 The LEH150 by Liberty is a high head 2" solids-handling sewage pump. The LEH150 features Liberty's unique one-piece cast iron body and quick-disconnect cords in 25' standard length. Available in 2" or 3" flanged discharge and a variety of voltages, the LEH150 has a maximum head of 70 feet and is backed by Liberty's 3-year warranty. 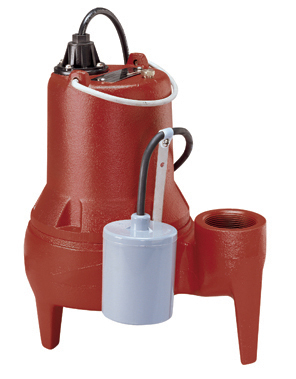 The LEH200 by Liberty is a high head 2" solids-handling sewage pump. The LEH200 features Liberty's unique one-piece cast iron body and quick-disconnect cords in 25' standard length. Available in 2" or 3" flanged discharge and a variety of voltages, the LEH200 has a maximum head of 83 feet and is backed by Liberty's 3-year warranty.